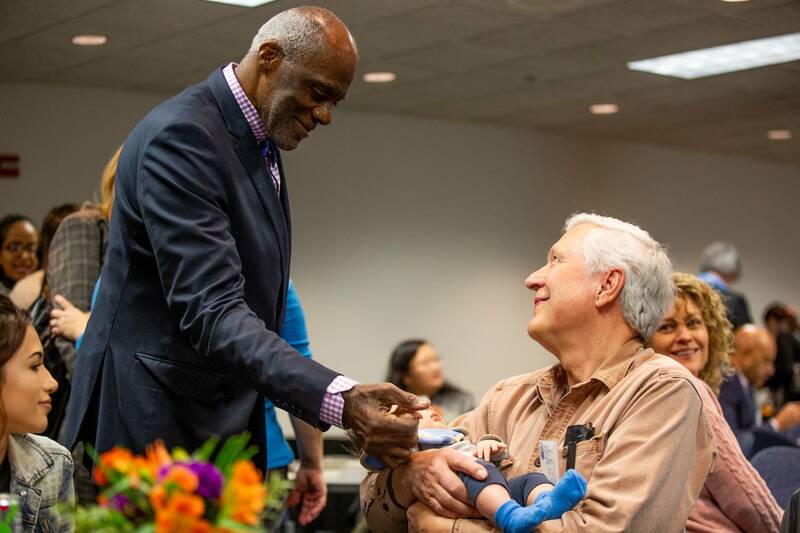 Days from being awarded the highest civilian honor a president may bestow, retired Minnesota Supreme Court Justice Alan Page joined those whose lives were changed by a foundation he founded with his late wife, Diane Sims Page. 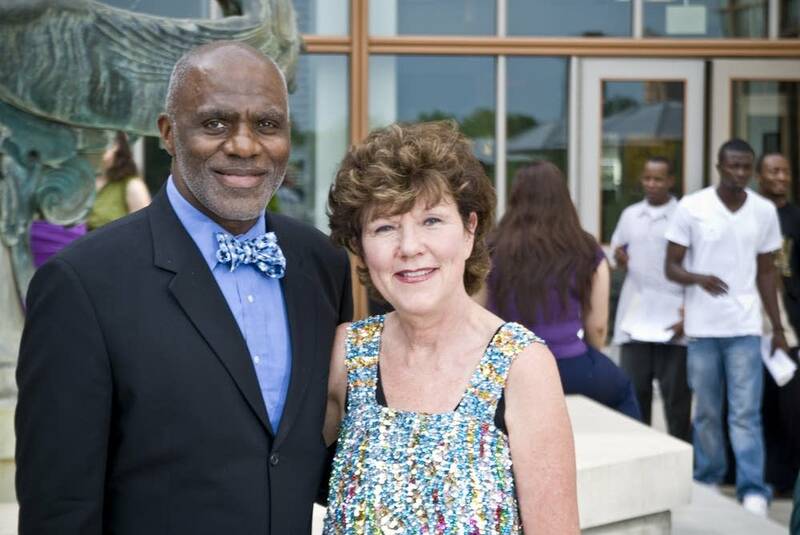 On Friday, Alan Page will receive the Presidential Medal of Freedom. During an event Wednesday in Minneapolis, the legacy of Diane Sims Page was on display during a fundraising event for the foundation that she and her husband started in 1988. Diane Sims Page died in September. "One of the things that I'm always proud to describe myself as is a Page scholar and alumna," said Artika Tyner, vice president of the University of St. Thomas Office of Diversity and Inclusion. Tyner was a Page scholar in 1999. "It was like getting that golden ticket. All of a sudden, I knew college was possible. As a first-generation student who had aspirations to go to college I knew that someone believed in me," she said. The foundation has awarded $15 million in scholarships to more than 7,000 students of color. Merone Melekin, an assistant chief of staff in Gov. Mark Dayton's office, thanks "the Page Foundation, Alan Page, Diane Page so much every day because [they] really helped guide my way into public service." 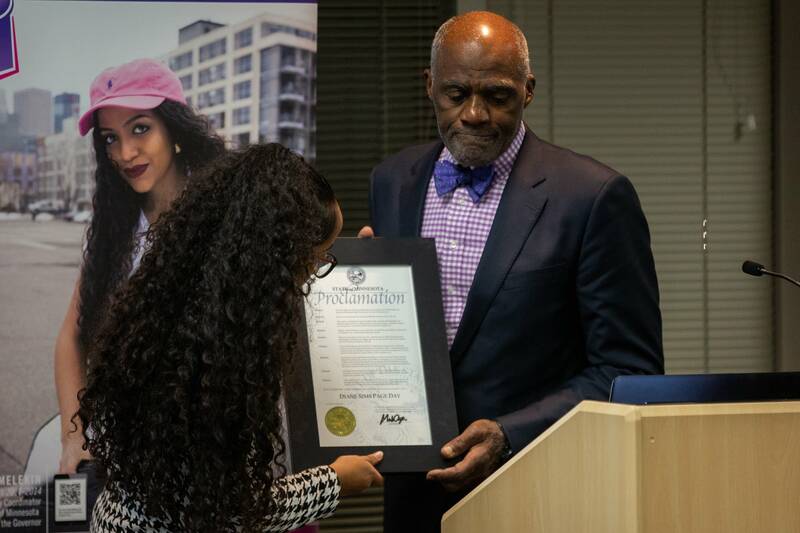 Melekin presented a proclamation from the governor declaring Diane Sims Page Day in Minnesota. 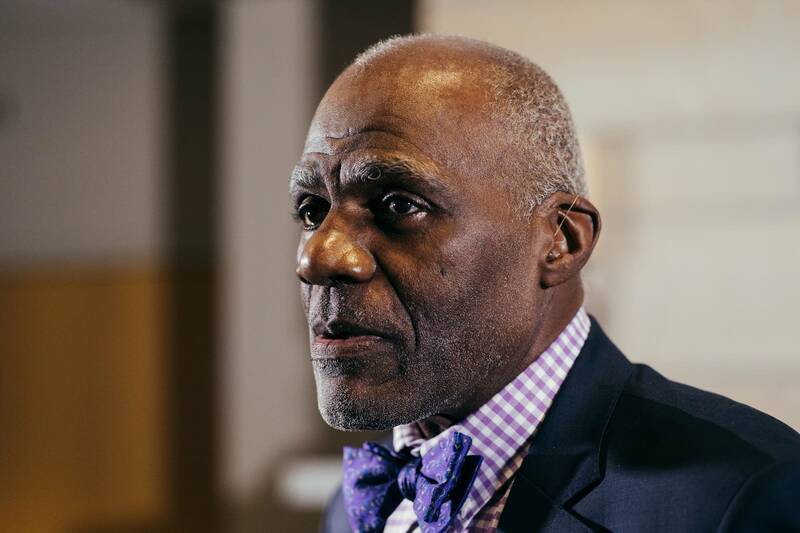 Alan Page called the proclamation a bright spot in what has been a difficult time for his family. He stressed that her spirit lives on among the foundation and its scholars. "She was an incredible woman, an incredible mother, an incredible wife and the heart and soul of this foundation," Page said. Page is among seven recipients of the Presidential Medal of Freedom. The award is given to individuals who have made especially meritorious contributions to the security or national interests of the United States, to world peace or to cultural or other significant public or private endeavors. Page views the honor with humility. "It's really not about me. It's about the things that Diane and I have worked to accomplish," he said. The White House announcement highlighted Page's philanthropic work, his legal career and his athletic accomplishments. But as an African-American man, Page said he sees the award as much more. "It is also about those whose shoulders we stand on, that I stand on. Those who made unthinkable sacrifices, which have allowed me to do the things that I have done." Some see the event as potentially awkward. Page publicly criticized President Trump last year for what he described as playing to people's "worst fears" and "racial insecurities." But Page insists he can and will put those feelings aside for the medal ceremony. "I am far more interested in putting a spotlight on issues and things that I've worked on and the people who have allowed me to do it than to get caught up in some, quite frankly, nonproductive discussion about all of that," Page said. This year's other award recipients are Miriam Adelson, Orrin Hatch, Elvis Presley, Babe Ruth, Antonin Scalia and Roger Staubach. Page is among a handful of Minnesotans to have received the award. The others include Hubert Humphrey, Warren Burger and Bob Dylan.